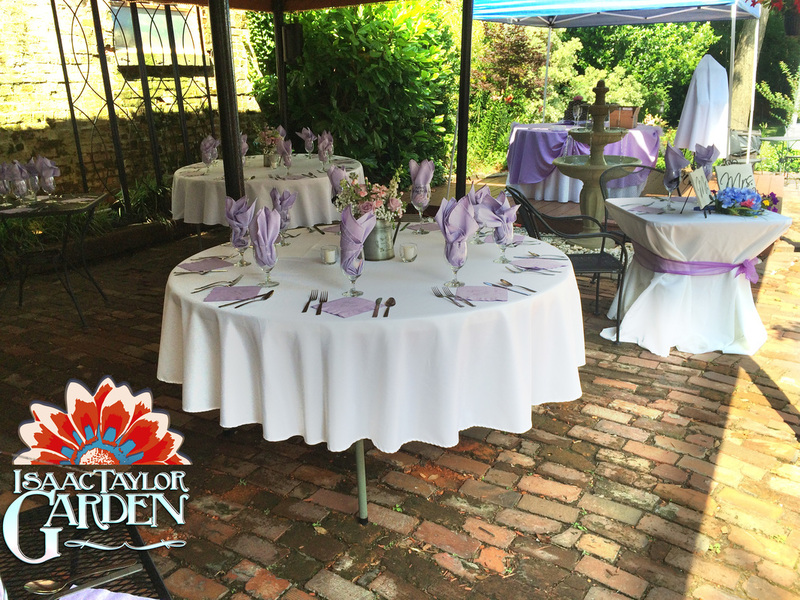 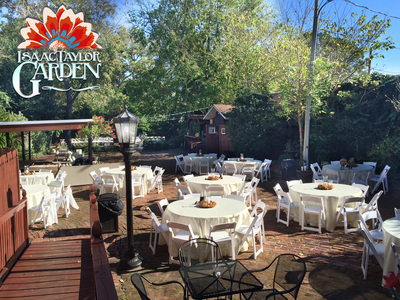 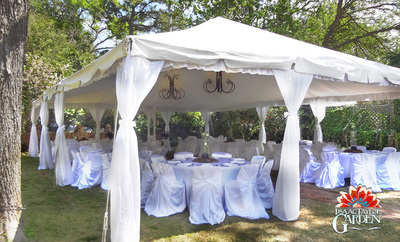 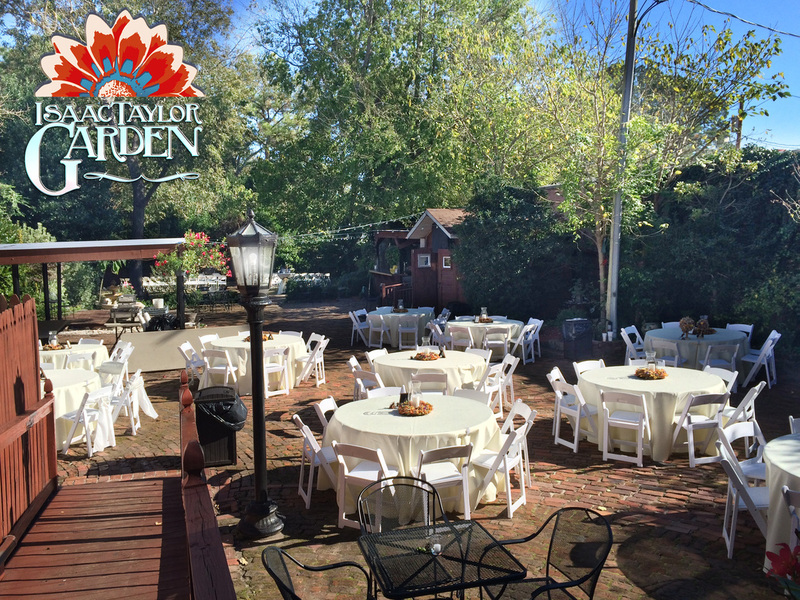 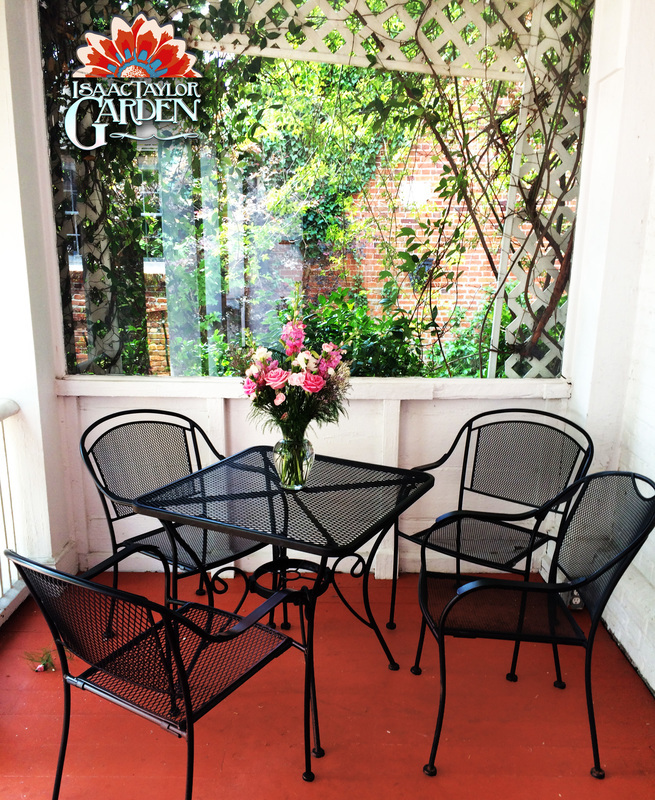 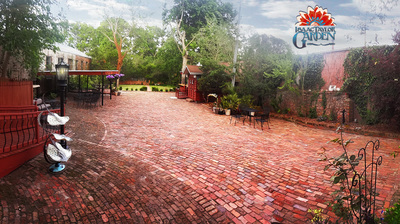 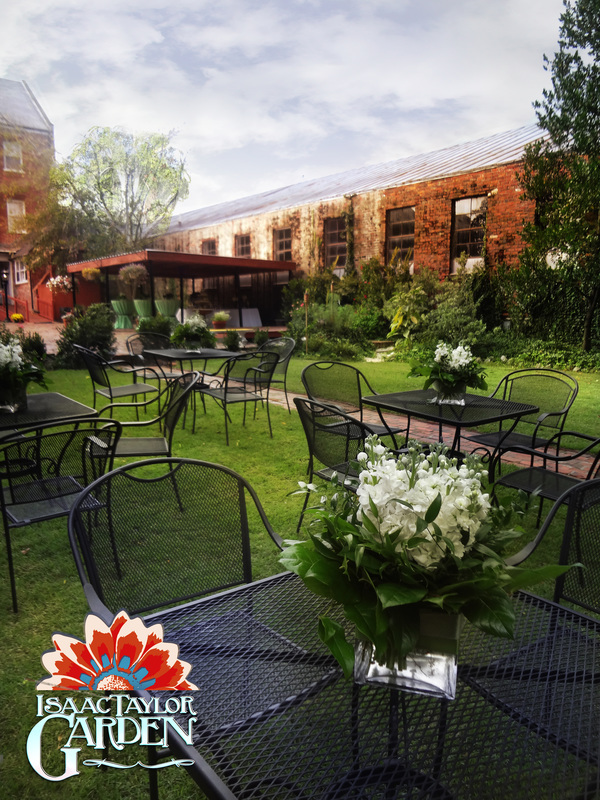 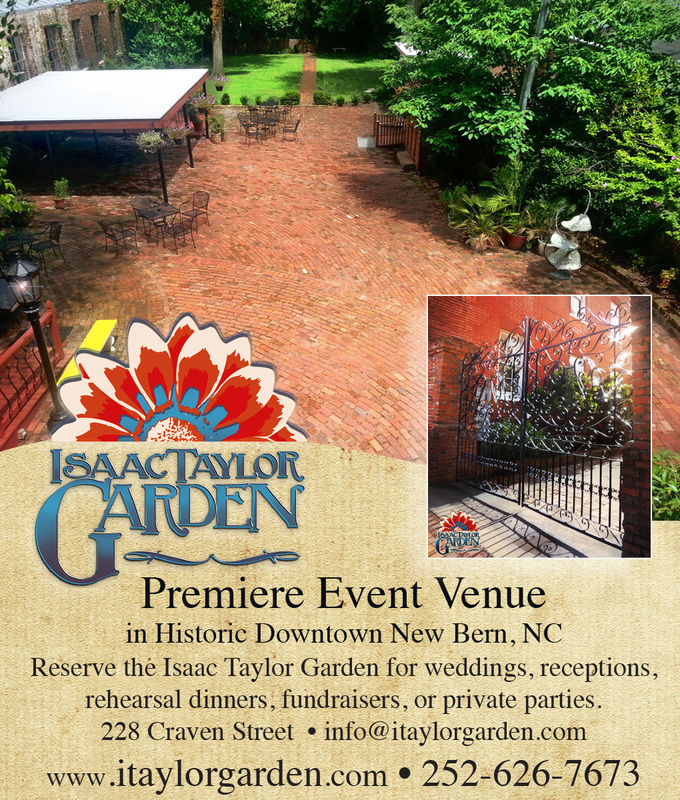 Reserve the Isaac Taylor Garden for your event. 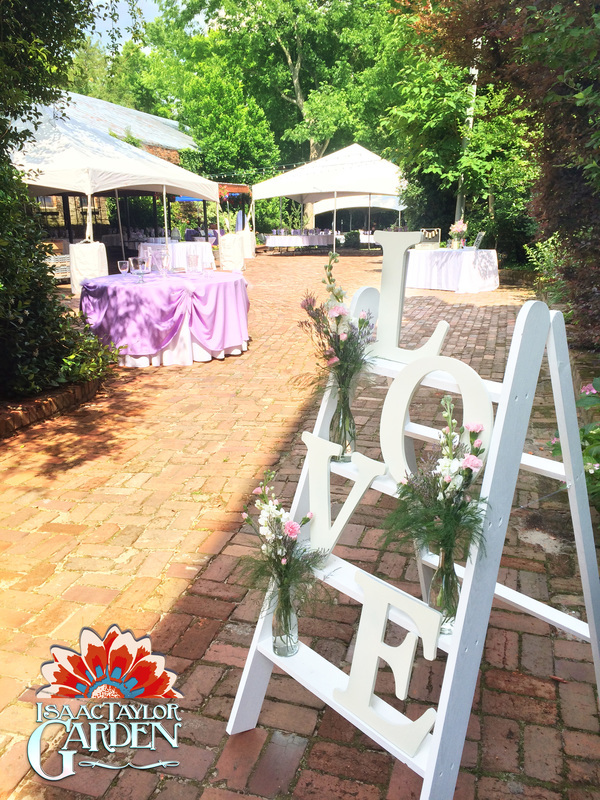 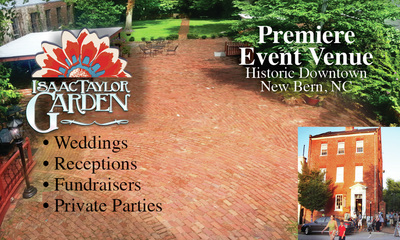 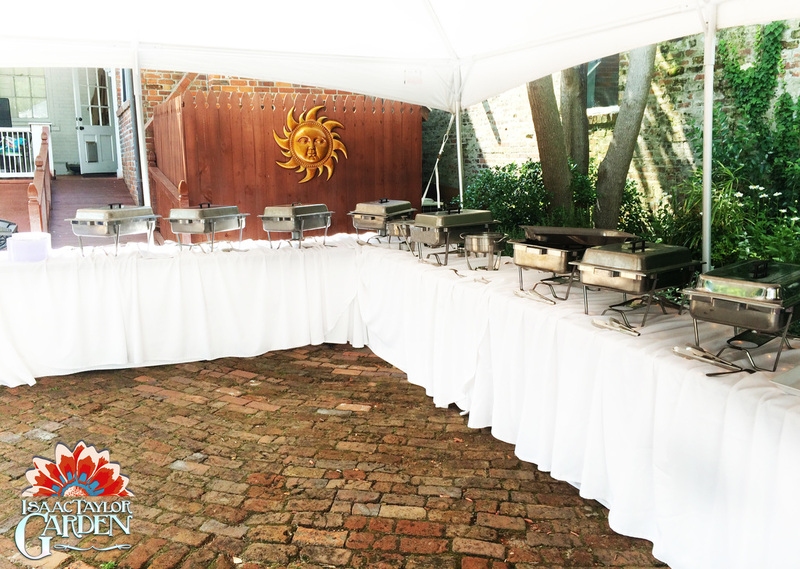 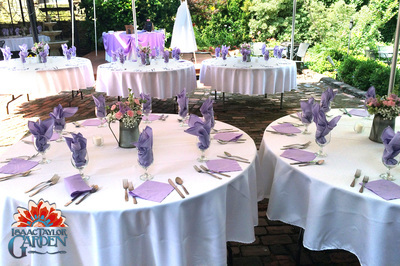 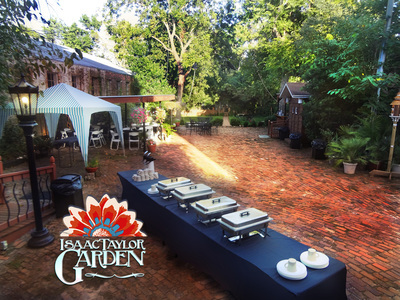 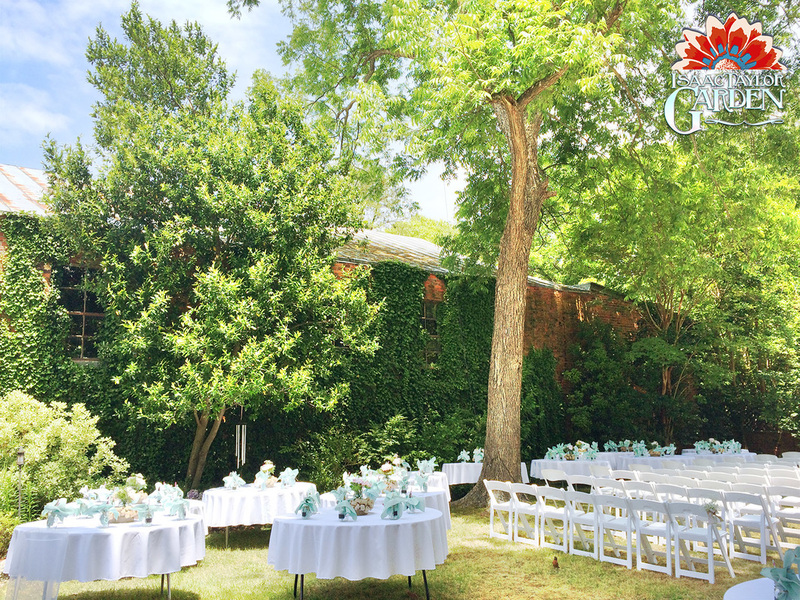 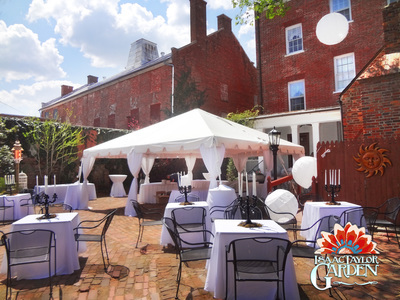 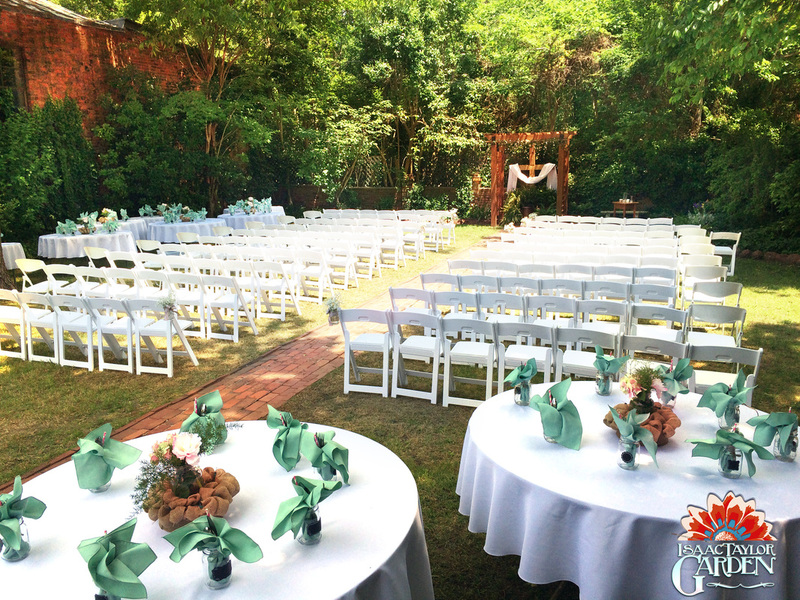 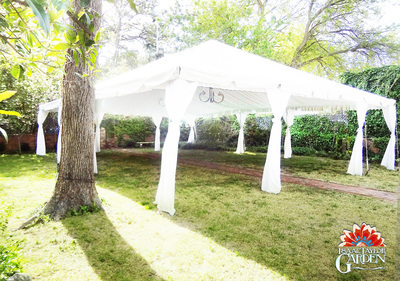 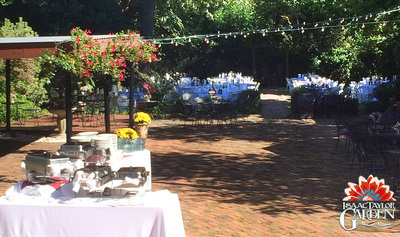 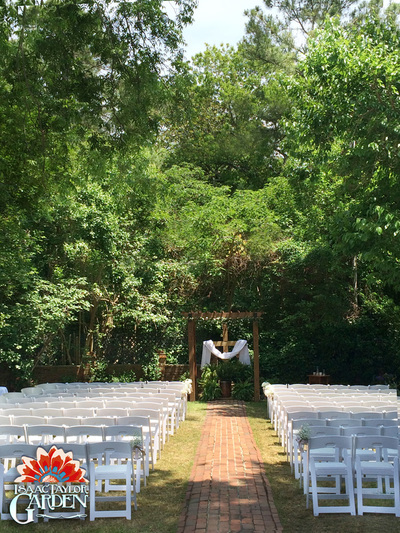 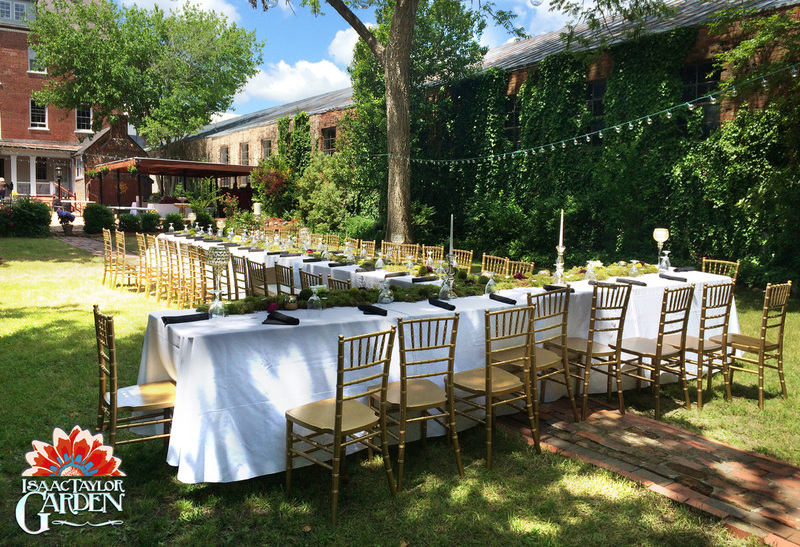 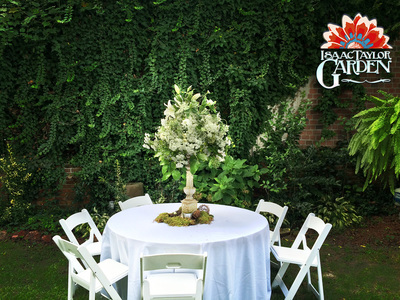 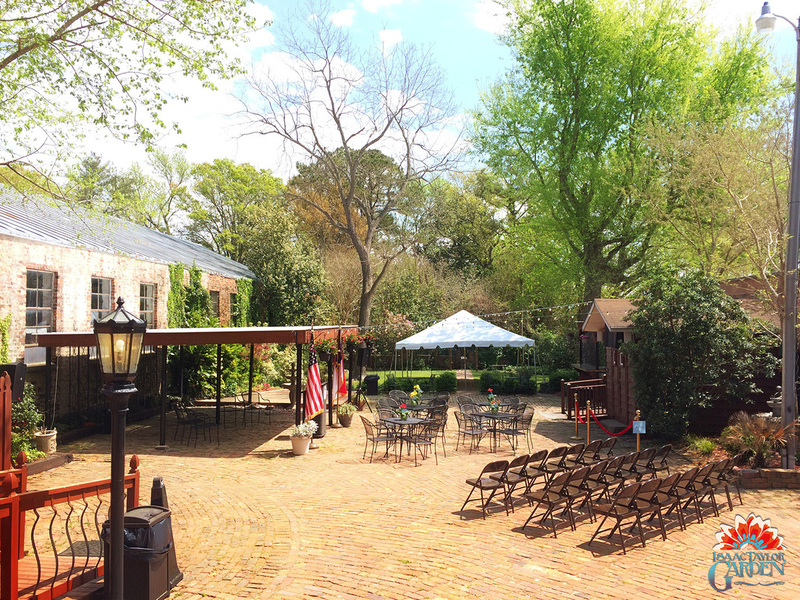 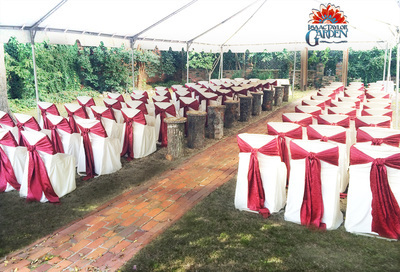 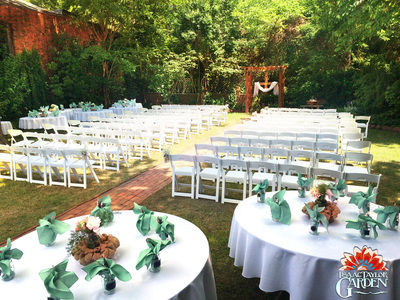 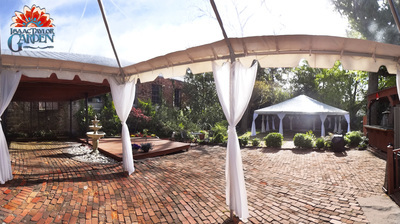 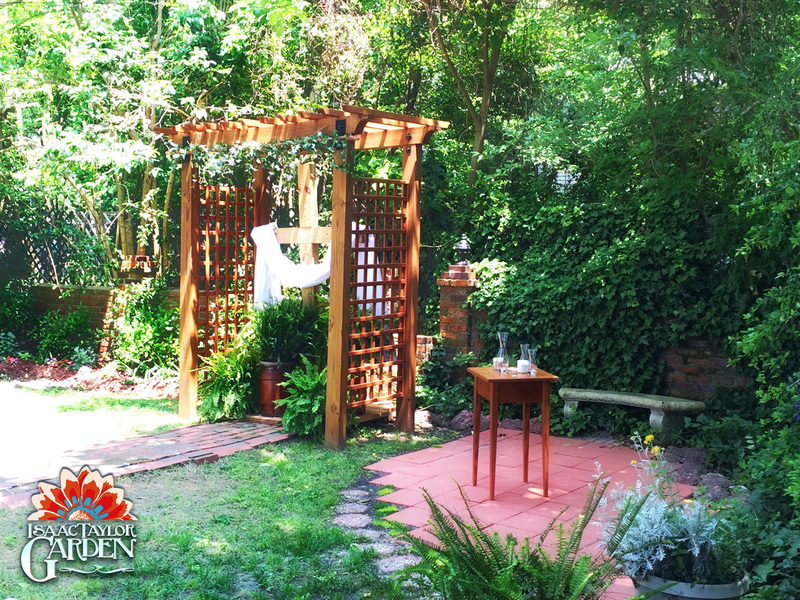 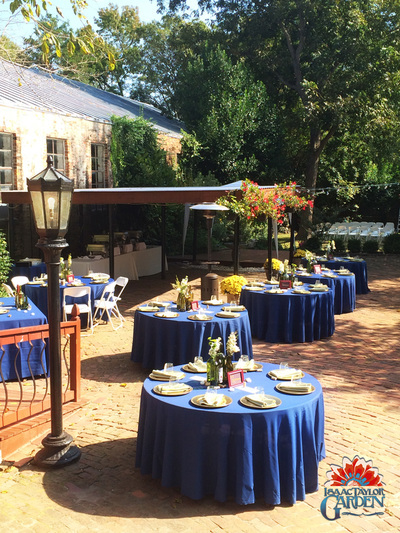 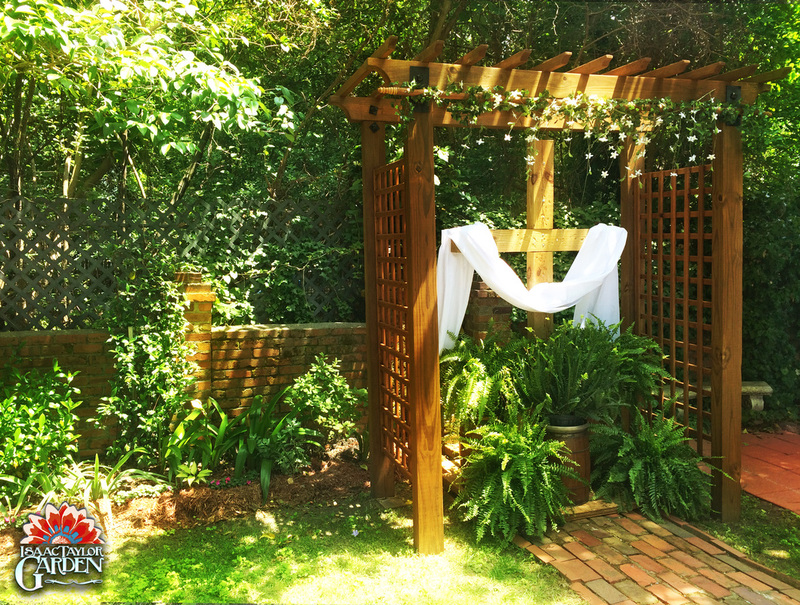 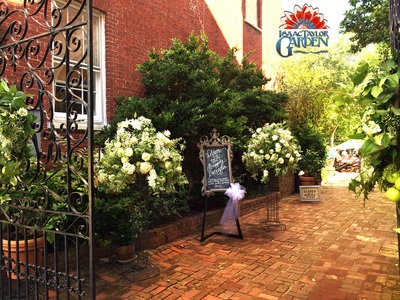 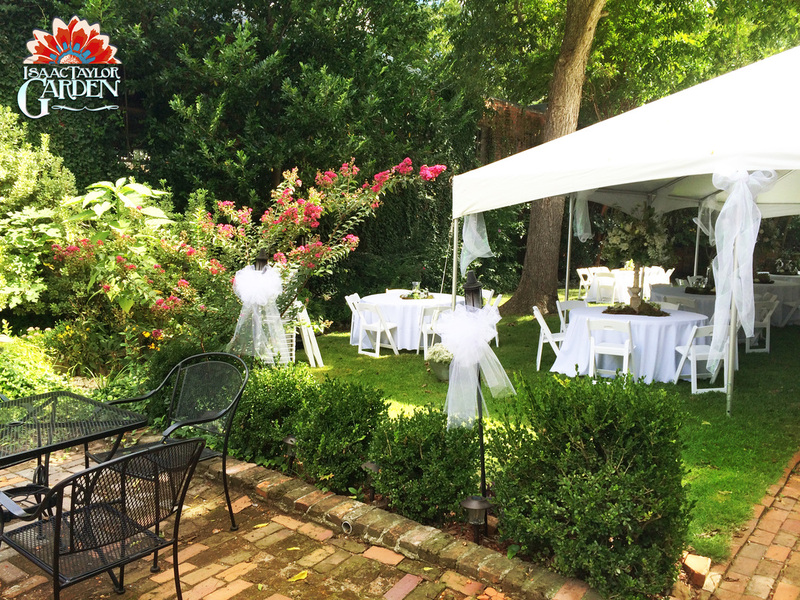 Isaac Taylor Garden event venue, wedding memories include a bridal suite, catering kitchen, and outdoor bar area with a stage for entertainment in historic downtown New Bern. 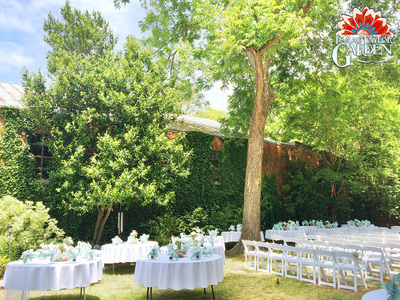 Your guests will love the proximity of the nearby shops, restaurants and amenities as they wait for your big event to begin. 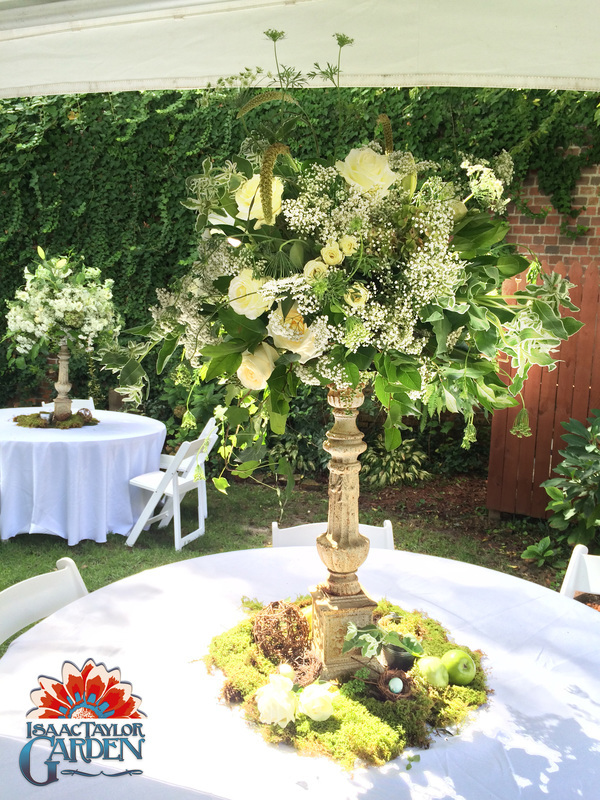 The Bridal Suite in the Isaac Taylor House! 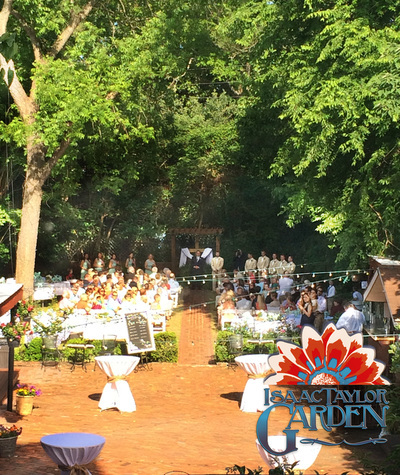 Enjoy the Bridal Suite in the Isaac Taylor House. Brides and bridesmaids use the room to get ready before the wedding. ​The photographer captures plenty of scenes of the ladies as they prepare for the big event. 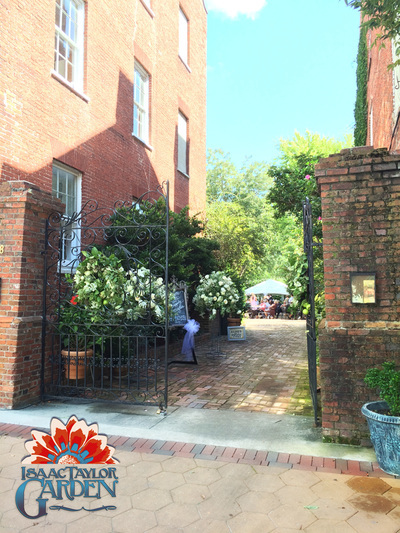 Public parking lot only one block away. 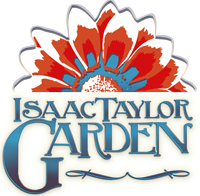 Click image to download an overview outline of Isaac Taylor Garden to plan your event. Check out New Bern's local talent. 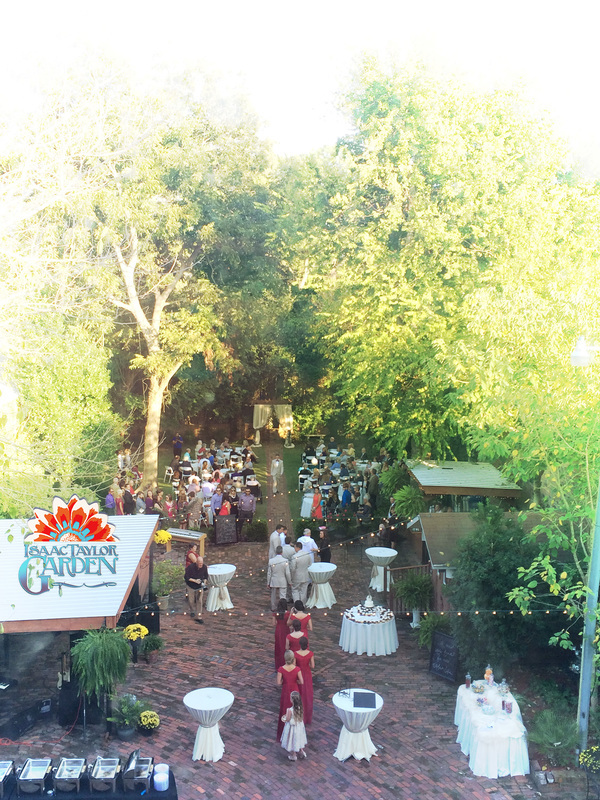 They perform all over Eastern North Carolina. 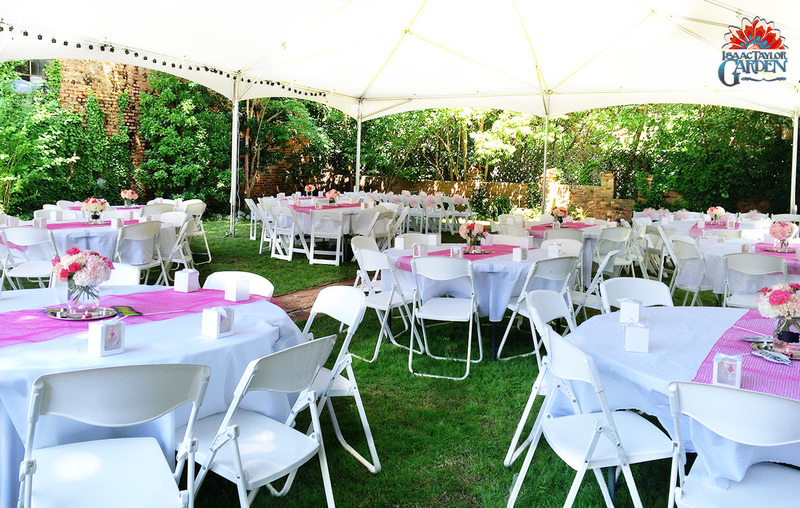 Our musicians/performers page has all the details to contact them for your own event! 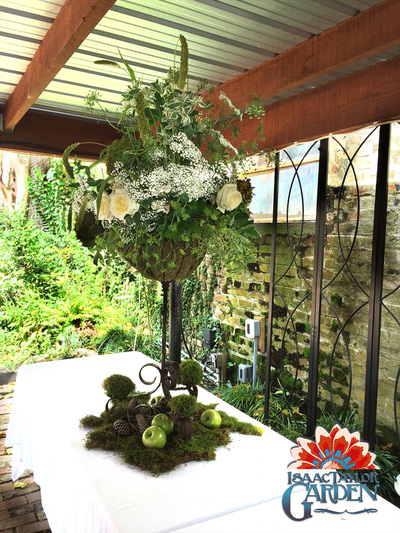 The story of the Basket?